Our Stansted taxi fleet supplies both large or small seating capacity vehicles. With a choice of any of our 4,6 & 8 seater taxis, you will be driven to your destination in comfort. This can meet the needs for all types of private parties, holiday makers, families, business clients and so much more. Stansted Airport Taxis Ltd provide airport taxis 24 hours a day, 7 days a week, 365 days a year. Our fleet of new, well serviced taxis, are driven by experienced drivers. They ensure smooth round the clock cover in even in the peak times. The VW Sharan has a roomy and versatile seven seat cabin, that feels classy, yet hard-wearing. It has comfortable seats, and the sliding rear doors are really handy in tight spaces. Our standard VW Sharan vehicles are an excellent choice, if you need space for six adults in your Stansted Taxi fleet. All our Stansted taxi fleet drivers have local knowledge, as well as specific airport gate navigation skills. They can serve as an exact guide to local amenities and destinations. To ensure we never waste any time, all our taxis are supported by on-board GPS navigation. Stansted Airport Taxi Ltd is a regulated organisation who’s Stansted taxi fleet vehicles are operated under PHV licence. This license is issued and regulated by Uttlesford District Council. 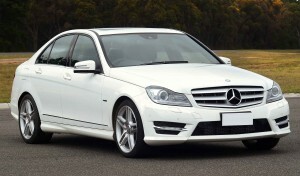 Among our Stansted taxi fleet we offer an executive car range, for the business class traveler. Each of our executive cars is driven by a member of our smartly dressed chauffeur team.